Enterprise data has never been more accessible with Oracle’s business intelligence suite of software platforms. Aptude can custom build a data warehouse with your specifications in mind, with integrated ETL services such as Oracle Data Integrator and Informatica. 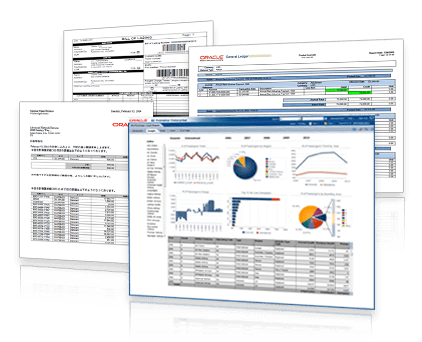 Provide your corporation with the competitive edge of Oracle BI with customized interactive dashboards and reporting. If your organization is using—or is planning to use—Oracle’s Business Intelligence solutions, you have highly customizable software that can change the way you do business. Aptude is an Oracle Gold Partner specializing in helping companies like yours achieve your high-ROI technical and business goals on-time, on-budget, and with the high quality deliverables that you and your organization depend on. With the capability to provide an onshore or onshore/offshore model for Oracle BI implementations, upgrades, or integrations, Aptude has the flexibility to produce high quality, low cost solutions. Learn how Aptude implemented standardized reporting for a multi-billion dollar Transportation and Logistics company. Learn how Aptude built an Executive Dashboard for a multi-billion dollar retail manufacturing company on OBIEE. Learn how Aptude performed an ETL data migration for a multi-billion dollar publishing and print organization. Learn how Aptude aligned data integration for a multi-billion dollar retail manufacturer using Oracle Data Integrator. Aptude provides maintenance support and new development of OBIEE dashboard reporting. 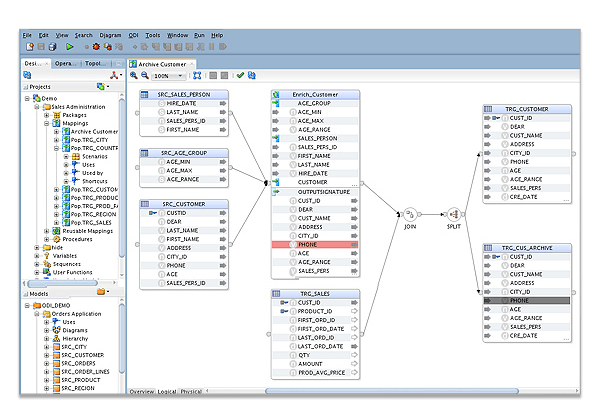 As an ad-hoc data mining and drill-through tool, OBIEE provides connections to a myriad of sources including unstructured data (OBIEE 12C). 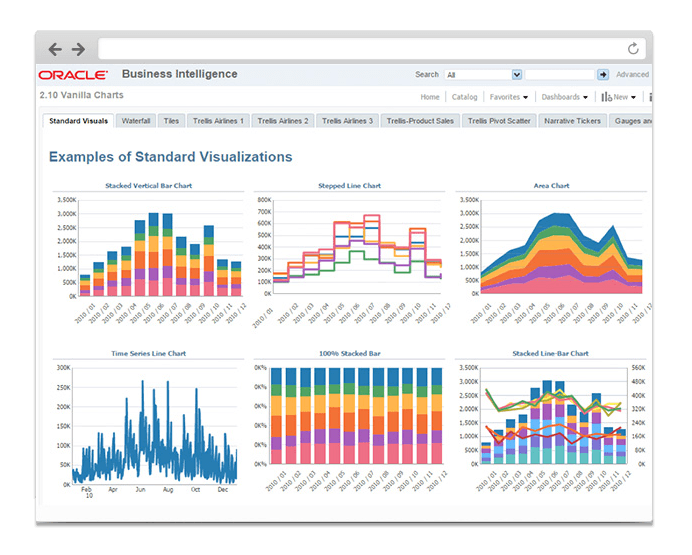 OBIEE 12C’s new Data Visualizer is getting rave reviews about its modern, more appealing look. Organizations with legacy based dashboards built on OBIEE 10g or OBIEE 11g along with those considering an upgrade to Oracle OBIEE 12C will benefit from Aptude’s depth and expertise in creating OBIEE solutions. Aptude provides maintenance support and new development of your picture-perfect BIP reporting needs across the multi-generational versions of BIP. Organizations with potentially legacy based reports built on BIP 10g or BIP 11g along with those considering an upgrade to Oracle BIP 12C will benefit from Aptude’s depth and expertise in creating BIP Reports. Whether you are looking to implement Oracle BI Publisher into your environment, or need to upgrade or support your existing BIP platform, Aptude has the solution to meet your requirements with a template-based, easy-to-use publishing solution. Aptude provides Database Design and Development utilizing PL/SQL, stored procedures, Data Migration and ETL development utilizing ODI, Informatica and Cloud and Back-office integration. Aptude knows that initiatives involving consolidating and aligning data from varied data sources and different formats need to be delivered on-spec, on-time and on-budget. Our expertise with Oracle Data Integrator solutions allows us to provide a unified infrastructure to streamline data and application integration projects.